Hi there stamping friends! Hope you are having a super-fantastic day today! The weather is gorgeous here in South Texas on this bright and sunny day. 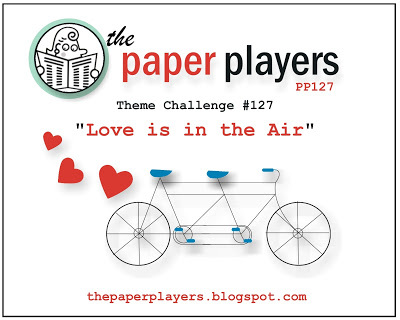 This week at the Paper Players, Ann is our hostess with a fun theme challenge to play along with: "Love is in the Air". Time to get a jump start on those Valentine's or just a card for that special someone, letting them know you care. For my card, I decided to use some of the new items from the SU Spring catalog. You can view the catty by clicking HERE. There are quite a few vintage-inspired items in the catalog and admittedly, that is not one of the styles I feel comfortable creating with. So, I went at this card with a different approach. I'm calling it "Simply Shabby". I came up with a simple layout and then dressed it up with the embellishments. That actually made it a whole lot easier to use the products and didn't make me over think them...like I tend to do. I love the Hearts a Flutter stamp set and coordinating die cuts. 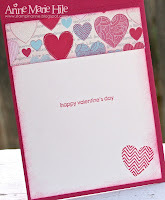 It really makes it easy to create a lot of layers on cards, without a lot of fuss. 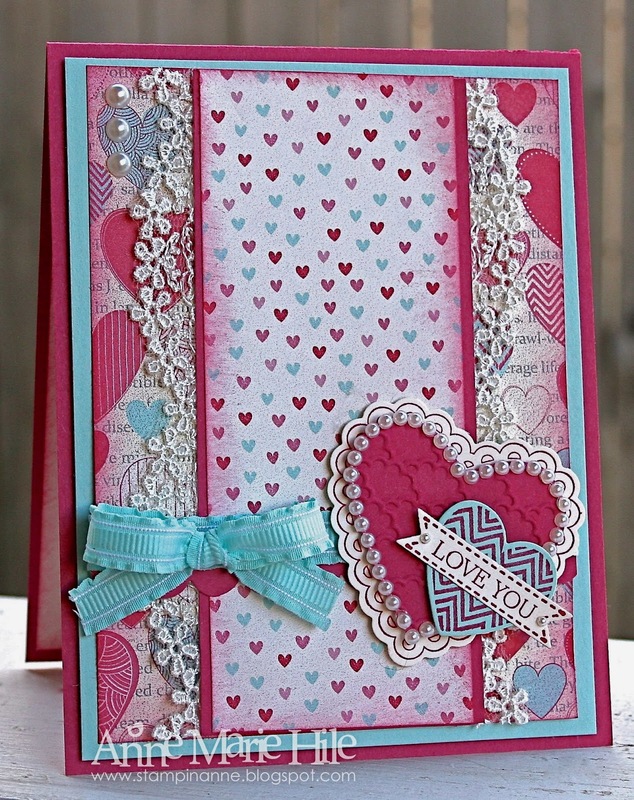 I used the Heart punch to layer inside the scalloped heart and added some texture from the Fancy Fan Embossing folder along with some pretty pearl trim. You just can't participate in one of Ann's challenges without using pearls, I tell ya. The lace came from the uber cool new Artisan Embellishments Kit. I just cut it down the middle and added it to either side of the middle layer using some Sticky Strip. All of the supplies I used are listed at the end of the post. Before I go, I have had a few people ask about Oscar, our foster dog. 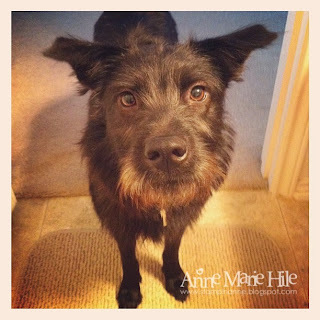 Yes, Oscar still lives with us and he is still looking for his forever home. He is doing very well and there has been talk that he might have already found his home with us. I will keep you posted on that. But, until then, here is a shot of the big guy just being cute. Just gorgeous. Love the lacy edges. Oh so pretty...I am wanting those accents so badly! Your colors are delish! So gorgeous! I adore the embossed heart covered in pearls! Fabulous card!Thanks for your visit! This is a most lovely card....full yes, but very Victorian...and beautiful! 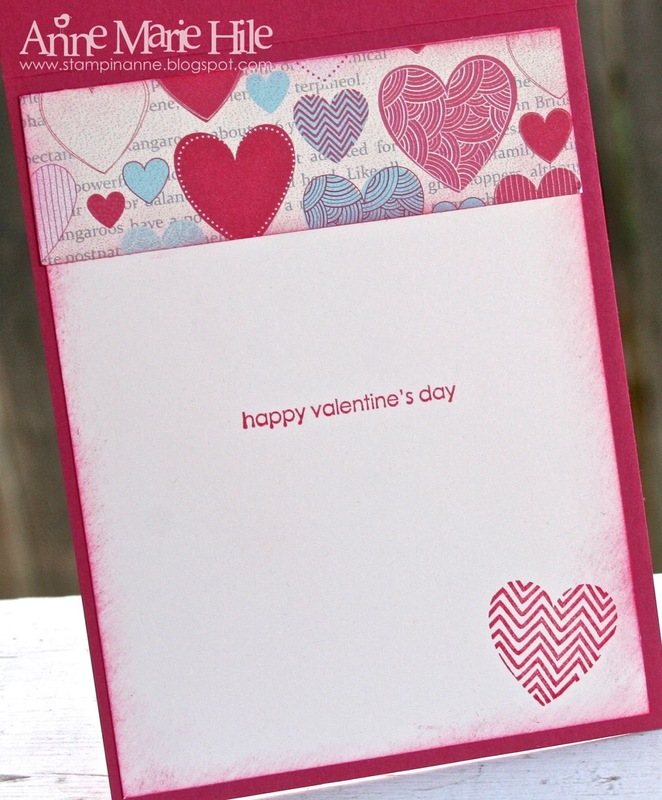 Our new lace is fabulous and really pops out on your card! Very very pretty Anne Marie, I love that heart. Anne Marie, this card is pearl-tacular! I love it! I love your "Simply Shabby" strategy (say that 10 times really fast ;)! This is a beautiful card! I love what you did with the border of pearls around the heart and cutting the lace in half. Wonderful card! Love everything about it, and I can't wait to use this layout. Thanks for sharing your creative thought process, esp about not over-thinking it. This valentine is so, so pretty Anne Marie. I love all the pearls and the lace is fabulous. And bless you for caring for Oscar! He's so cute! Oh, I LOVE this! You used the lace beautifully (still afraid to dig into mine...) and this design just begged for the pearls around the heart! Gorgeous card! AM, I would have known this was an AM card without your name above it on the PP site! It's gorgeous. 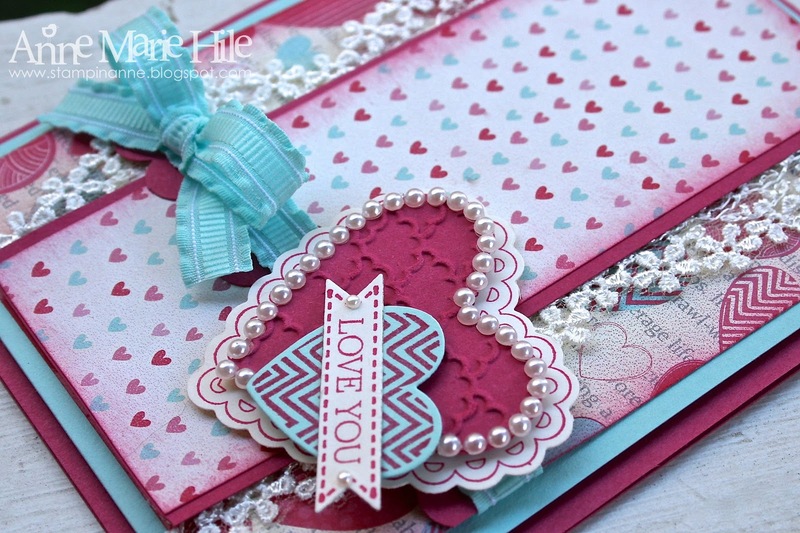 I love the embossed heart surrounded by the pearls, the lace and the pop of Pool Party. Fabulous my friend.